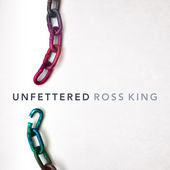 My friend and yours, Ross King, gave me the opportunity to listen to and review his latest music project. I have been listening to Ross for over a decade. His lyrics are deep and rich. I am often moved by the how he says such powerful theology in a simple and understandable way. He's gifted. This project is no different. It's great singer/song-writer work. The words tackle some beautiful and terrible truths. He seems to hit every angle...from redeeming the orphan to our arrogance in church. One of my favorite songs is Love Is A Hammer. Opposite Day is a fun, lively number. They are all great, thought-provoking songs. Check it out! This Hope Will Guide Me, Ross' last cd is wonderful as well. We often sing a song from the album, Hallelujah for the Cross, in church. It's a gift to the church.